Here are some random shots from my back yard. 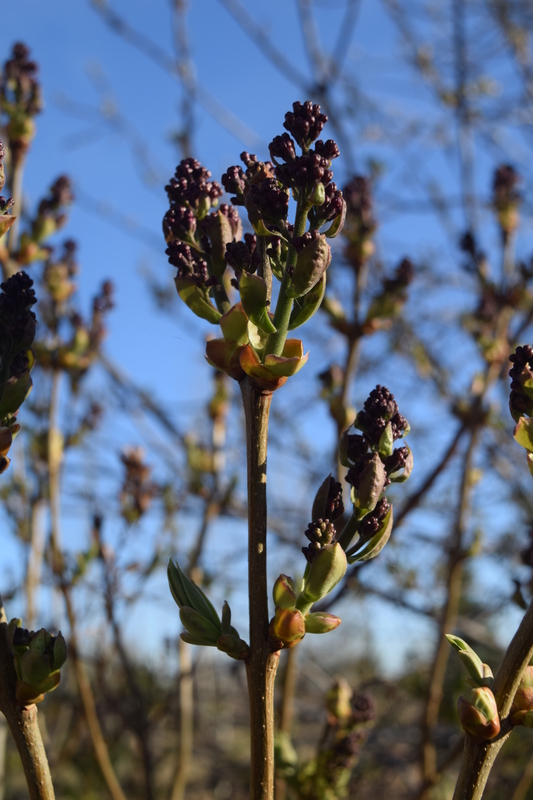 Lilac buds. Sitting outside one evening this weekend, we could almost watch the trees and bushes leaf out. It was gorgeous. Also, buds from my fruitless cherry (?) tree. 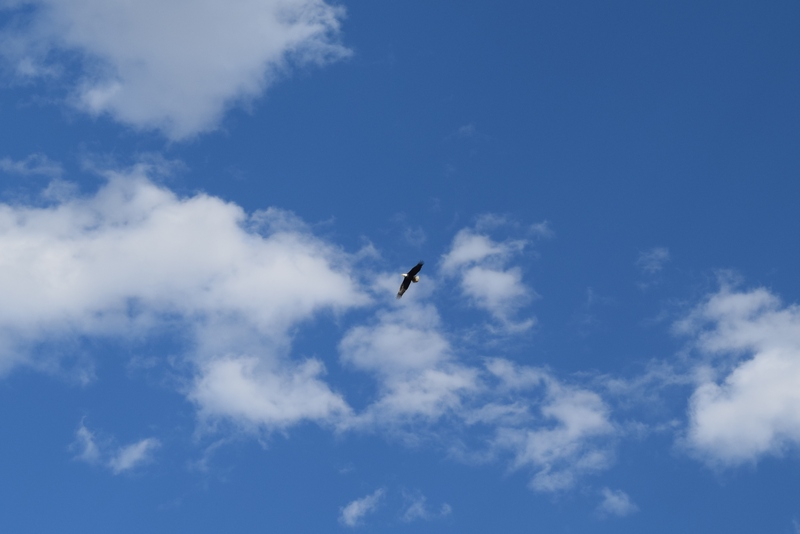 This elusive fellow is a bald eagle flying above my pasture. When I go to the area that I know their nest to be, I am blocked by signs saying that none shall past … until the eaglets are fledglings. I’ve zoomed in on this eagle. I had the wrong lens on my camera and was completely unprepared to be taunted in such a way. A few nights prior, I was driving my car when one flew over and in front of me. This is the usual way they taunt me, make sure I see them but have no ability to take a photo. I supposed I will need a new conquest if I ever do get a decent photo of a Bald eagle. Perhaps an owl in flight. They frequent my neighborhood in the Spring and Fall, hopefully scooping up the veritable bunny buffet in this area. I hope Spring reaches the northeastern US sometime soon. Meanwhile, our days are more and more gorgeous here in Colorado. We are having gorgeous Colorado weather. Great day to walk the dog and ponder when the first blooms of spring will arrive. I have daffodils. The whole neighborhood has daffodils. But I am along the northern Front Range.